This engraved elegant compact mirror personalized with any name or monogram. 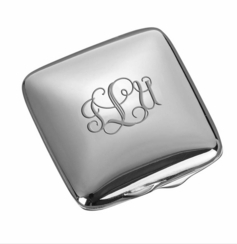 The beautiful silver finish can be engraved with names or a message on both the front and back. 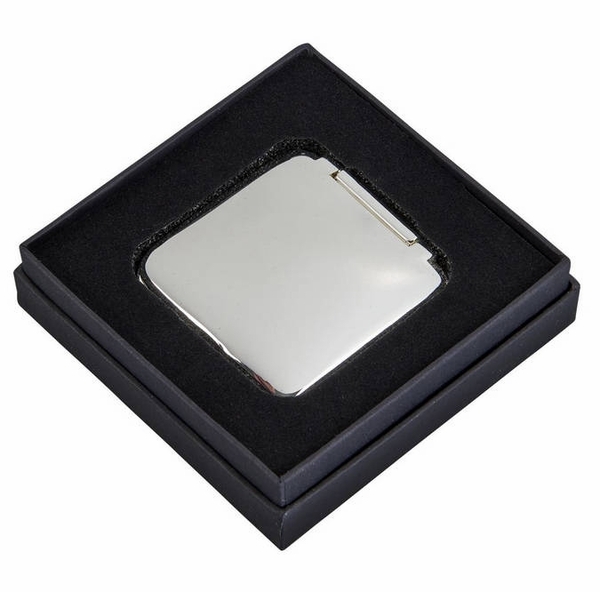 This 2" x 2" square hinged mirror compact is simple and elegant. 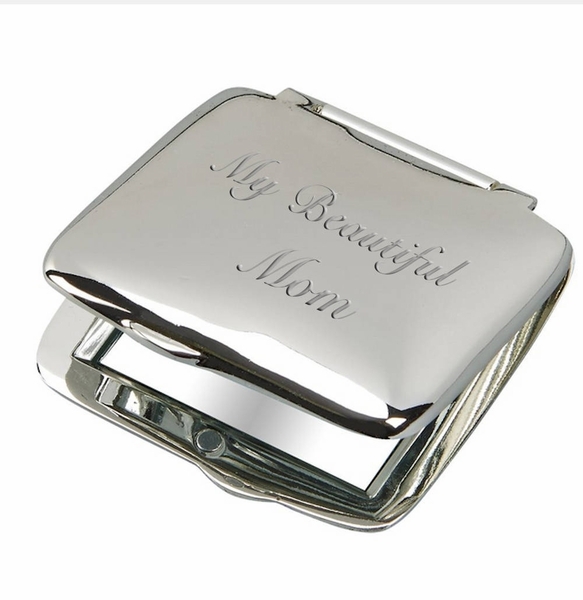 Suitable for engraving (front engraved free) it features 2 mirrors inside - one magnifying - it's non-tarnishing silver plated case. Black Gift Boxed.